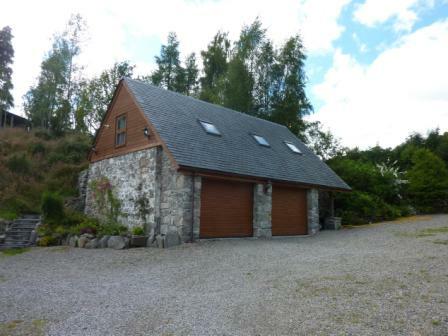 A sympathetically converted, traditional Highland house with beautiful south-facing views towards Loch Meiklie has been placed onto the market through CKD Galbraith. Lakefield, which lies in Glen Urquhart, approximately 21 miles west of Inverness and in the midst of some of Scotland's most beautiful and unspoilt scenery, formerly comprised two semi-detached dwellings which have been carefully converted and renovated by the owners to provide extremely comfortable and versatile family accommodation. The property is approached off the main public road with a driveway leading to a gravelled parking area at the rear of the house. The entrance porch to Lakefield leads you into the slate floored main hall of the home, with doors leading to several of the ground floor rooms and also stairs to the accommodation on the upper level. The dining kitchen is easily accessible from here and provides an indication of the standard of the rest of the property. 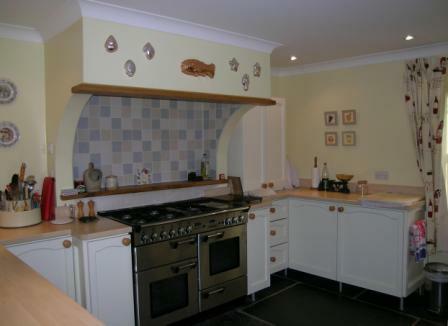 The kitchen is well equipped, with a two oven gas Rangemaster professional cooker, providing the perfect facilities when entertaining family and friends. The accompanying dining room area is similarly impressive and provides a homely space for both everyday family dining and also those more special occasions. The ground floor is also home to several other special rooms, including the sitting room complete with a recessed wood-burning stove; the study which benefits from a lovely open fire with timber mantelpiece; and double aspect family room, also with recessed wood-burning stove and staircase to the first floor. Upstairs, the first floor landing is a welcoming area, with Velux window allowing light to flood into the property. In total, there are five well-sized bedrooms located on the upper level, all of them suitable for family rooms or guest accommodation. The bedrooms are accompanied by two shower rooms on the first floor and a large bathroom on the ground floor. The property also benefits from under floor heating throughout both levels. 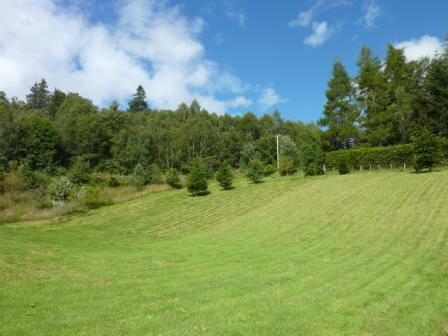 Lakefield sits in around 3.5 acres of land, with delightful grounds surrounding the property as well as two grass paddocks. There is also a kitchen garden (which can be accessed from the dining kitchen) as well as a variety of outbuildings, including converted barn, which provide first-class garage and office space. 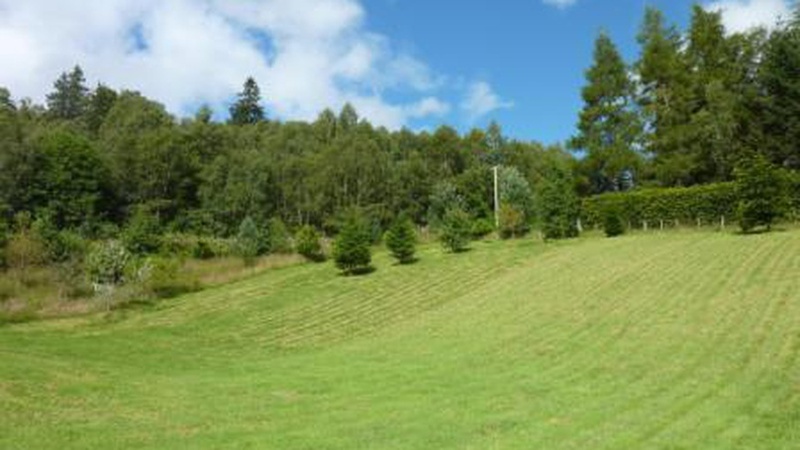 Phiddy Robertson, who is handling the sale for CKD Galbraith, said: "Lakefield is an exceptional property that lies at the heart of one of the most beautiful landscapes in the north of Scotland. "The current owners have upgraded and cared for Lakefield magnificently during their time there so any future purchaser can be safe in the knowledge that the property they are purchasing is of considerable quality. "A warm, homely feel exudes from each room of the property and it would be the perfect home for a family who are wishing to locate themselves a rural setting but within easy reach of Inverness. 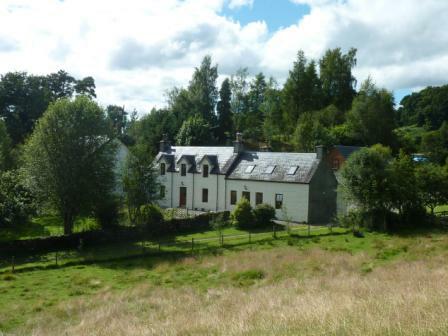 "When we consider the quality of the accommodation accompanied by the high standard of outbuildings and surrounding grounds plus the magnificent views towards Loch Meiklie then we expect Lakefield to generate considerable market interest." Lakefield is being marketed at a guide price of 375,000. Find out more about this property.